An over-the-shoulder video clinical presentation of a 10-unit IPS Empress® veneer case provides an in-depth look at a solution involving pre-preparation planning and contouring to achieve esthetic results. 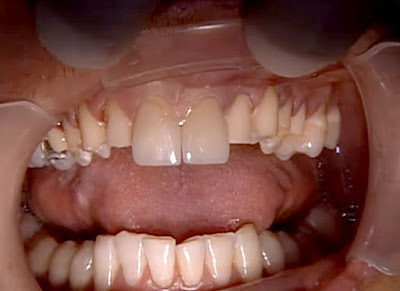 A practical demonstration of understanding the patient's objectives, a candid evaluation of the treatment possibilities, and achieving a desired clinical result—including the creation of a more ideal archform without orthodontics—is presented. The pre-preparation considerations and the techniques presented will help practitioners more confidently meet patients' expectations. A straightforward execution of the necessary steps—based on some basic placement and bonding principals that are presented—provides a useful approach to successfully placing and bonding porcelain veneers.